"A file management tool packed full of useful features." 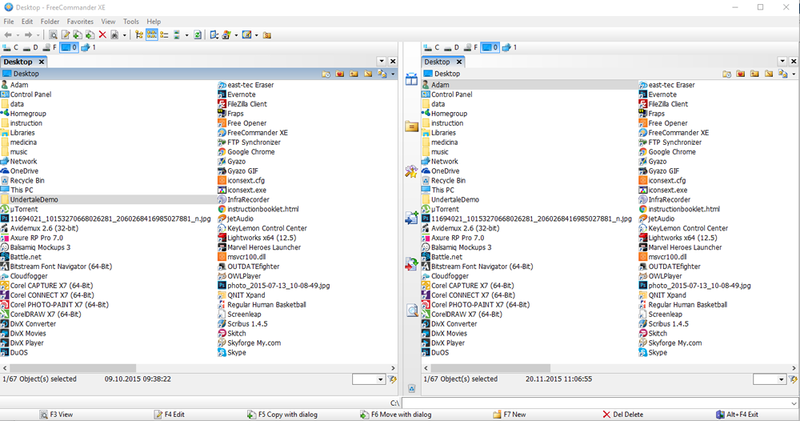 Free Commander is a file manager that is absolutely packed with features, it does not just give you the option to explore files but there are many other things that can be done with it also. You can use Free Commander to compress files, copy, rename and delete files, you can use it to calculate file sizes, you can use it to view files in hex, binary, text or image format, it also comes with a built in FTP client this is just to name some of the features of Free Commander. With such great features this download is highly recommended, most computers feature a built in file manager such as Windows File Explorer but Free Commander offers so many more useful and helpful options anyone that deals with files really should consider at least giving it a try. The interface is well thought out with dual panels showing your files and at the top the toolbar of what you can do with your files you can also make alterations to multiple files at the same time. Of course it also possible to do all the other not so complex actions such as delete, copy and move files using Free Commander. It can be used also unpack compressed files or to pack uncompressed files, it features many options that other file managers do not and is also free.